Olympus could be facing a takeover by Panasonic, according to Japanese news agency Kyodo. Panasonic is reportedly on the verge of making a ¥50 billion investment (about £410 million) in the troubled camera maker, which would make it the largest shareholder of the camera and medical optics company. At the time of writing, Olympus isn't making any comment, but it says it will disclose important information as and when it comes to light. It's unclear what an investment could mean for the camera division of Olympus. Panasonic is reported to be interested in the medical division of Olympus, which is the world's largest manufacturer of medical endoscopes used in surgery and diagnostic procedures. Panasonic already owns the successful Lumix camera brand and could find difficulty integrating the camera business of Olympus into that structure. At the moment, the cash injection is being seen as an investment of capital rather than a takeover. Just last week it was revealed that Fujifilm had made an offer to buy Olympus. In an interview with Shigetaka Komori, CEO of Fujifilm, it was revealed that the firm was ready to buy Olympus. Speaking to the German newspaper Frankfurter Allgemeine, Komori said: "We were ready to buy Olympus. We made an offer to Olympus, but I think Olympus is trying to remain independent." That announcement was followed up by a rumour that Olympus was trying to set up an alliance with Panasonic or Sony in order to avoid the company having to shed 2,500 jobs worldwide. 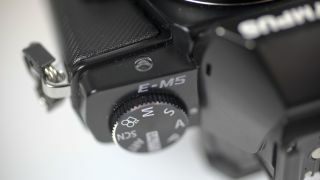 This was hotly denied by Olympus, but stories of a tie-up have persisted. Olympus first ran into trouble when the company's former British CEO, Michael Woodford, uncovered a serious accounting scandal. Woodford recently reached a potential settlement in a claim of unfair dismissal with the firm.